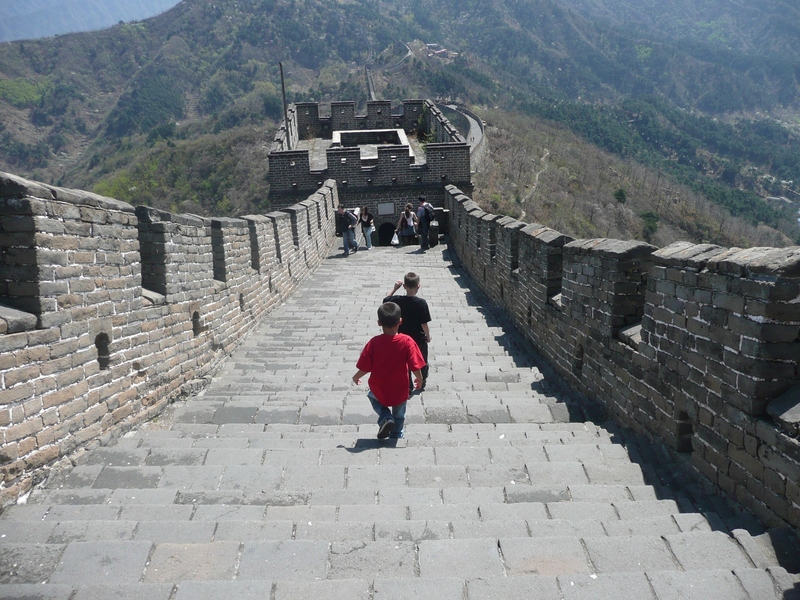 I remember hearing about the Great Wall of China when I was a little girl and I also used to think China was so far away there was no way one could ever go there. I would read about the iconic wall in books, see it in cartoons, magazines, newspapers, etc., and I was fascinated by it. 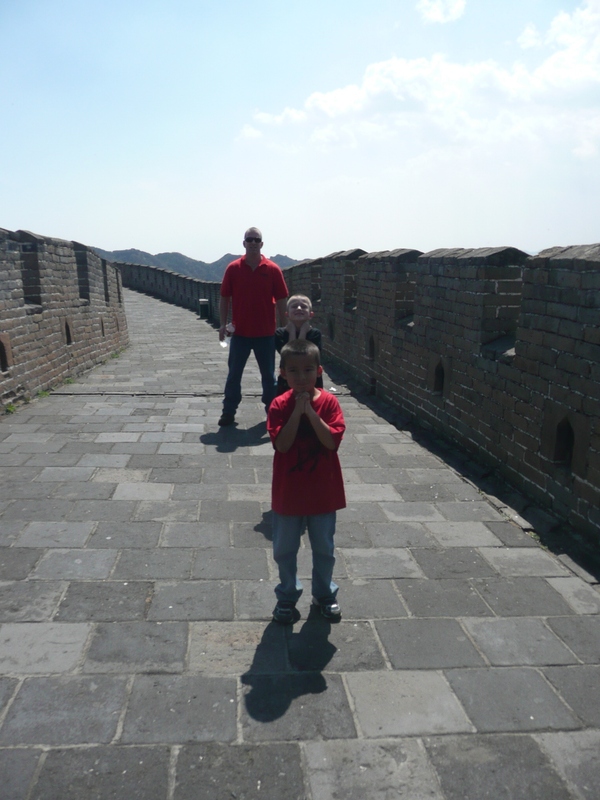 Little did I know that no picture, no book, no image on TV, no documentary, nothing really can possibly prepare you for the real grandeur of the Great Wall of China. 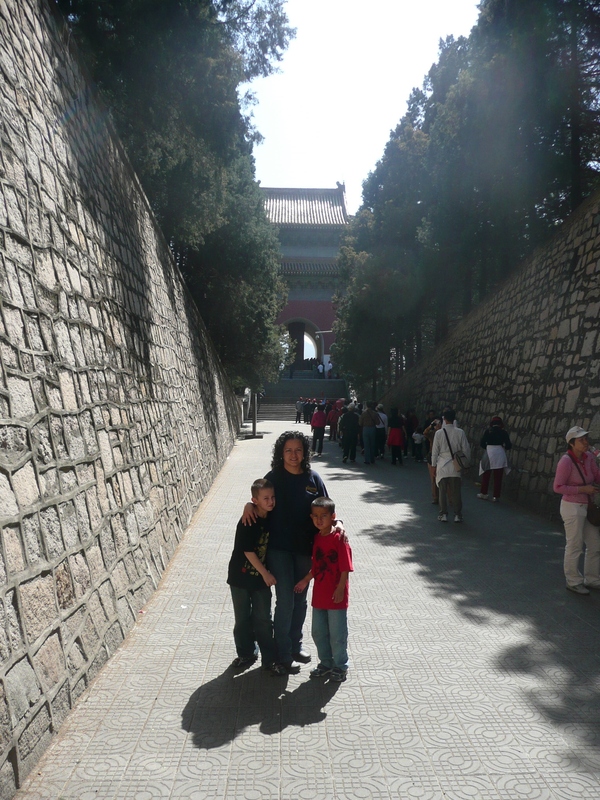 And little did I know that one day I would set foot there and race my kids up and down the rugged mountains on this relentless serpentine wall that seemed to go on forever. 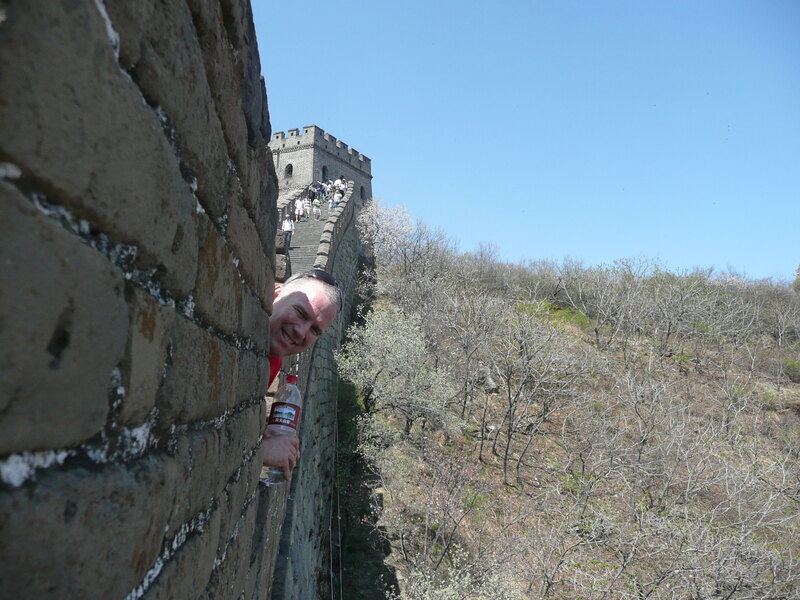 I reached the Great Wall in 2009. 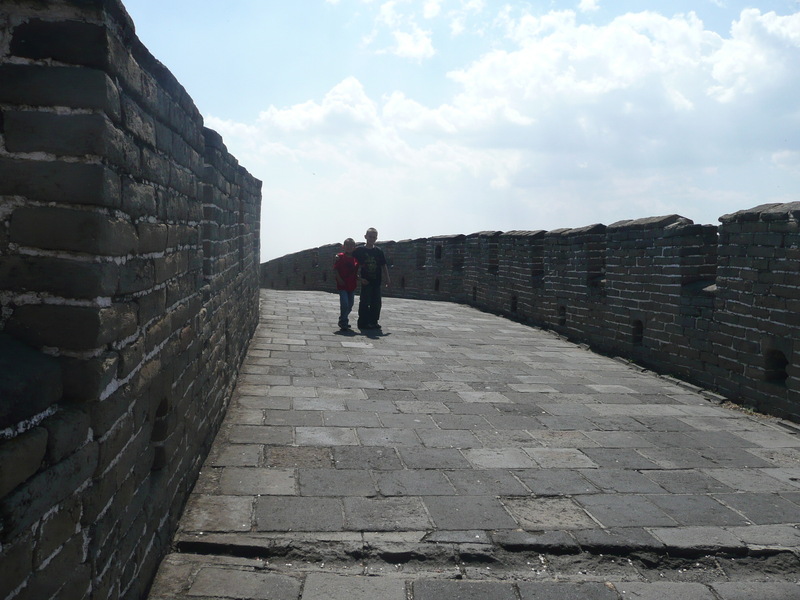 It’s been said that during it’s construction ‘a life was lost for every stone on the wall’. Many of the deceased were buried within the wall. There are records that claim that one million people (1/5 of China’s population at the time) helped build it. 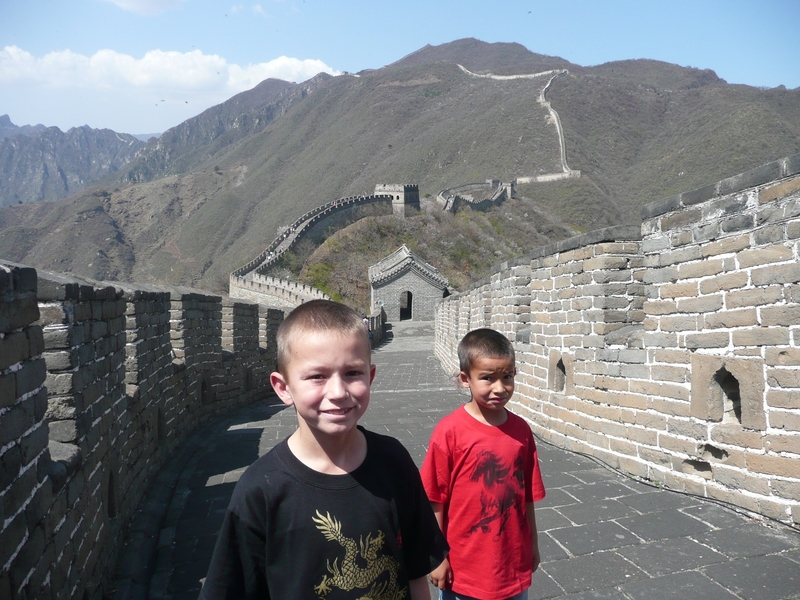 The purpose of The Great Wall was to protect China from outside aggression, raids and/or invasion. Though it was unsuccessful at times for that purpose, it was also built to preserve China’s culture from the customs of foreign barbarians. 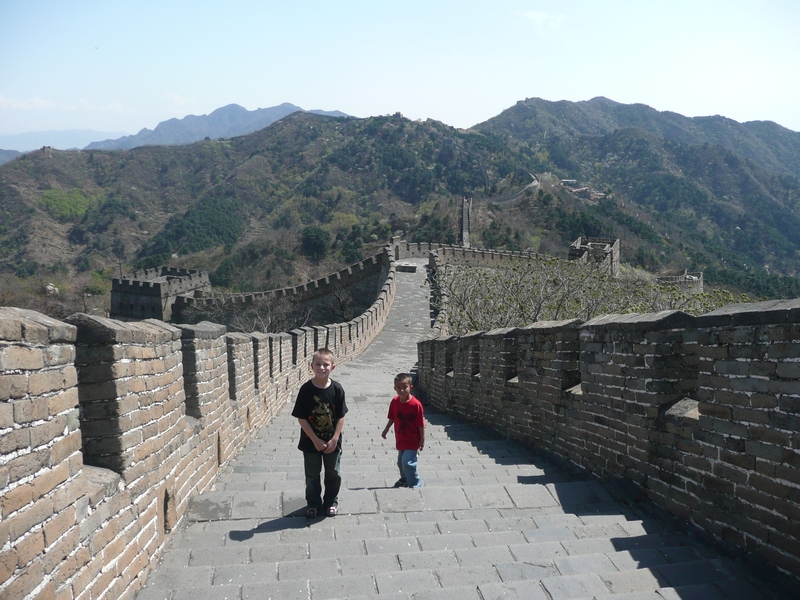 Between the 18th and 20th centuries, the Great Wall emerged as the most iconic image of China for the Western world. A symbol of Chinese physical strength and a psychological representation of the barrier maintained by the Chinese state to repel foreign influences and have full control over its citizens. 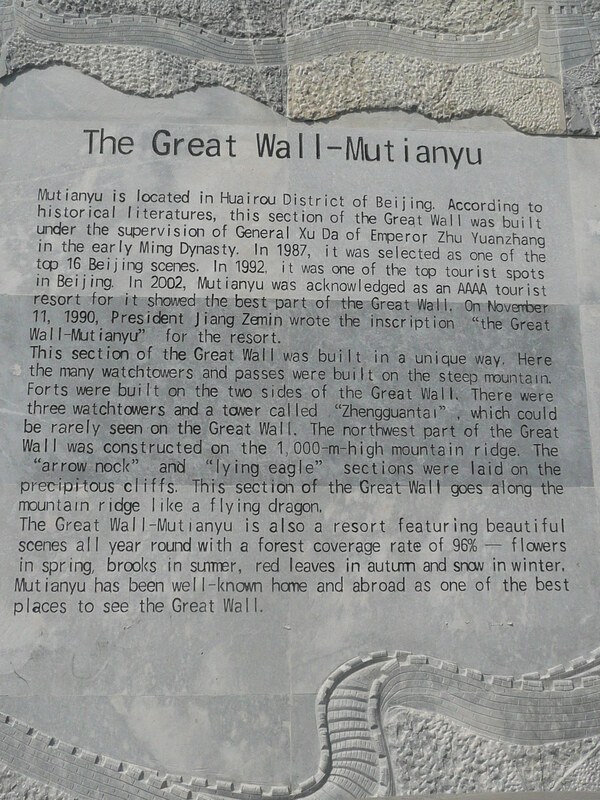 In 1987, UNESCO designated the Great Wall a World Heritage site and it is also considered one of the Seven Wonders of the World. There is also a popular but untrue claim that it is the only man made structure that is visible from the moon. 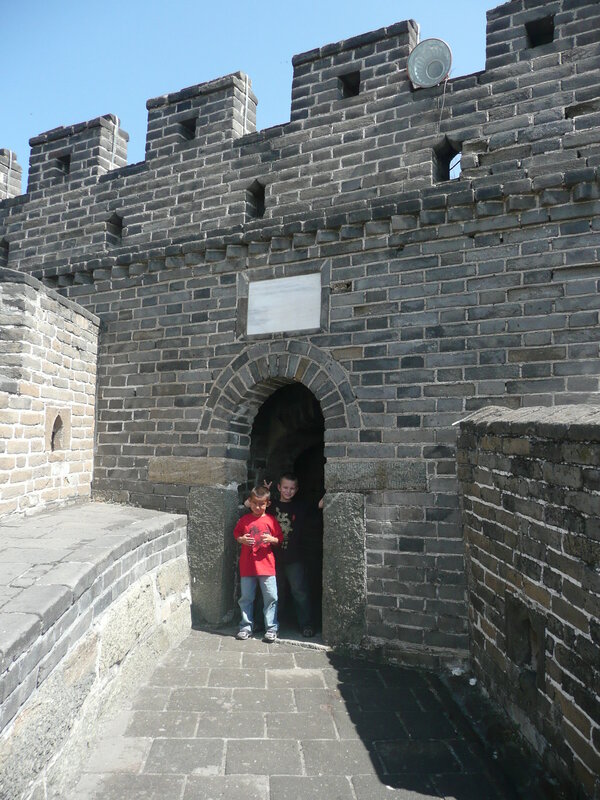 The ambitious undertaking and the perfection of its construction, deems the Great Wall, a masterpiece. The wall is a perfect example of architecture integrated into the landscape. So awe inspiring! 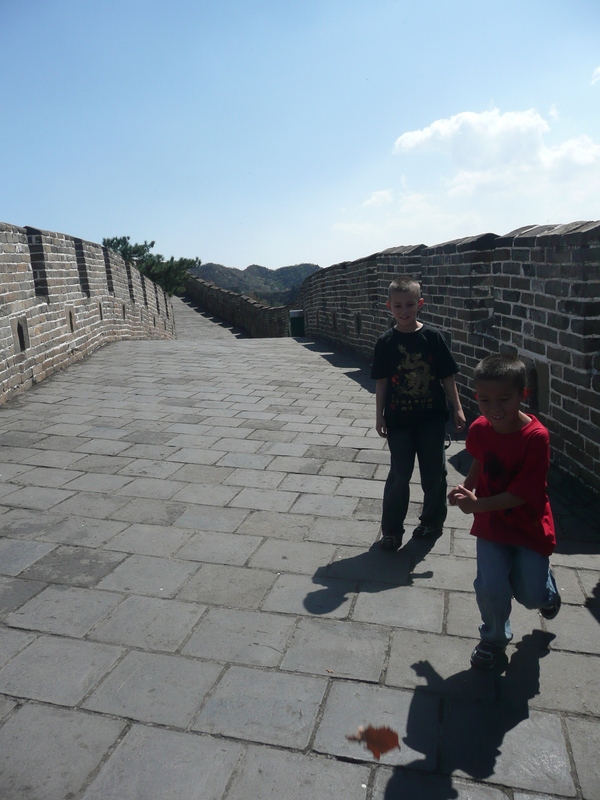 We decided to visit the Great Wall in Mutianyu, a section located in Huairou County a little over an hour northeast from Beijing. 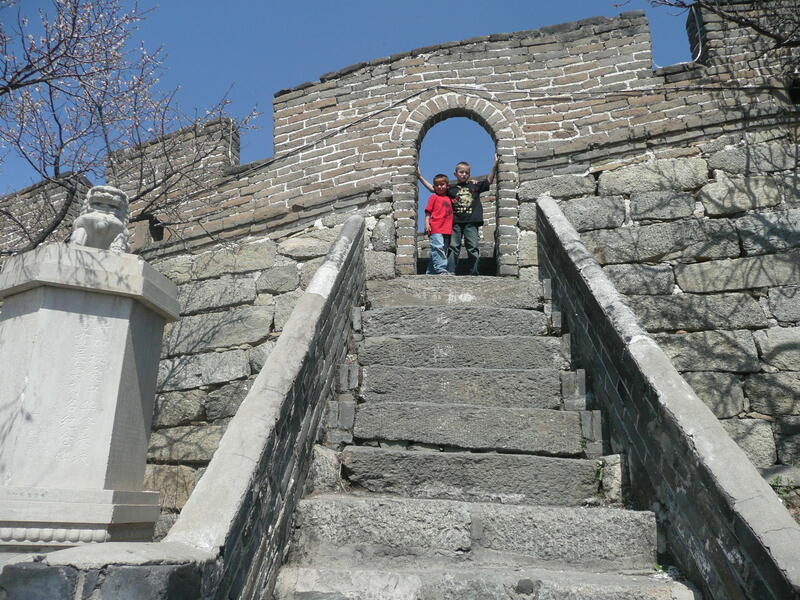 As one of the best-preserved parts of the Great Wall, the Mutianyu section used to serve as the northern barrier defending the capital and the imperial Ming dynasty tombs. 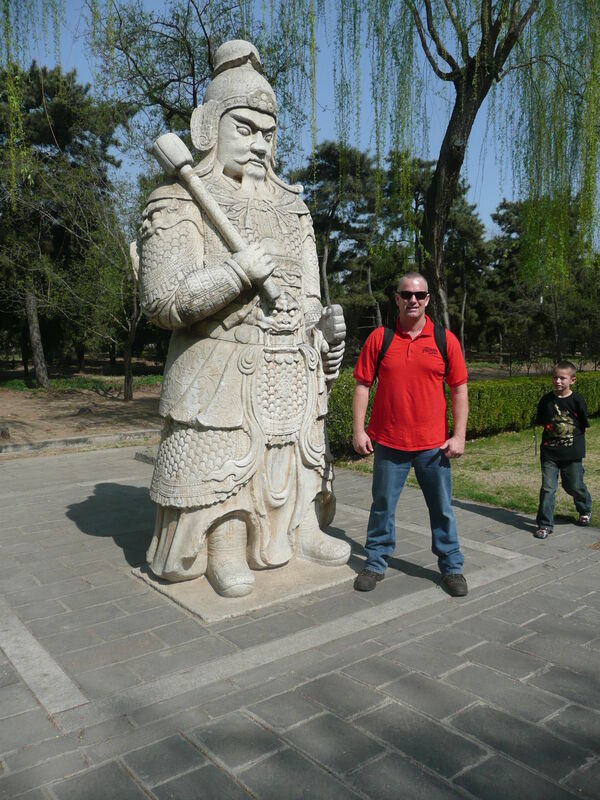 The Ming Tombs are a collection of imperial mausoleums known as the Thirteen Tombs of the Ming Dynasty. 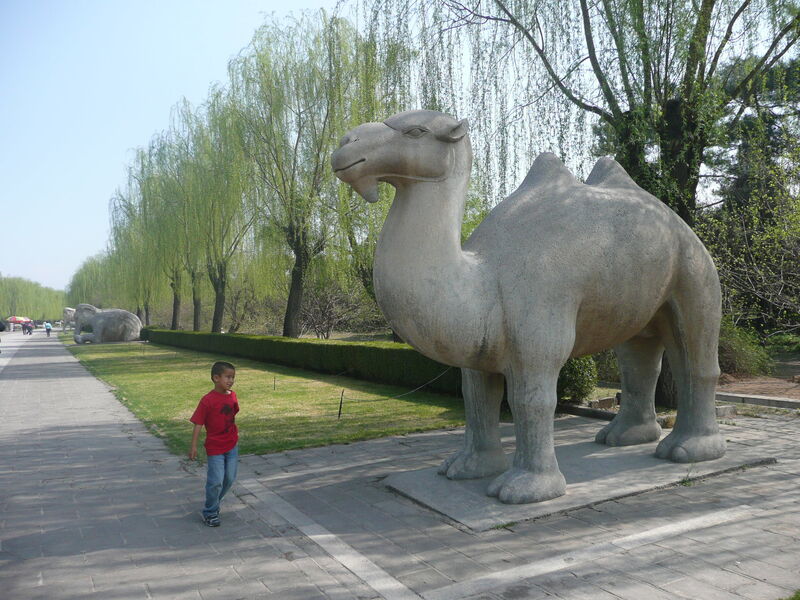 These too, were designated a World Heritage site in the early 2000’s. 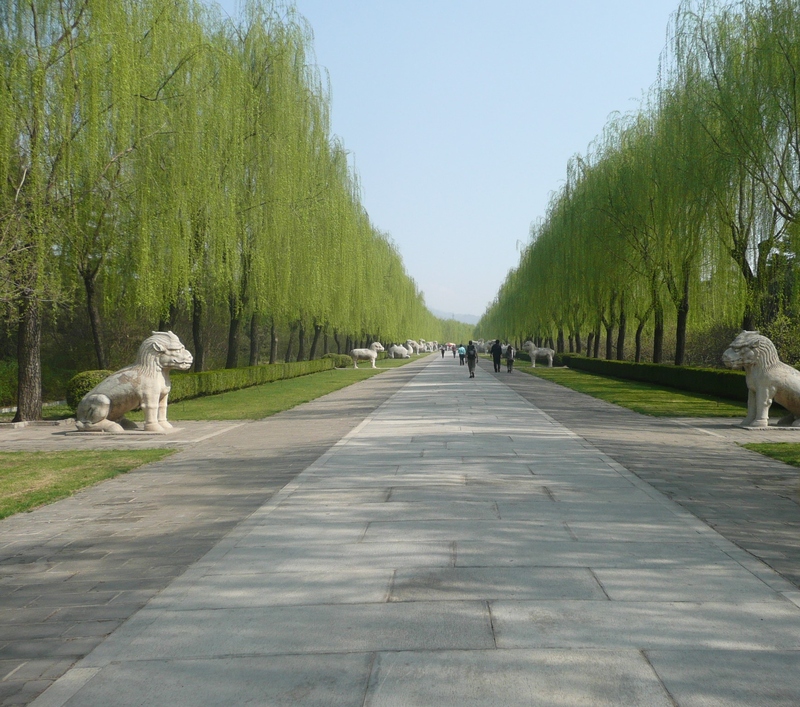 The location of the Ming dynasty imperial tombs was carefully chosen according to Feng Shui principles. According to these, bad spirits and evil winds descending from the North must be deflected, therefore, an arc-shaped valley area at the foot of the Jundu Mountains, north of Beijing, was selected. 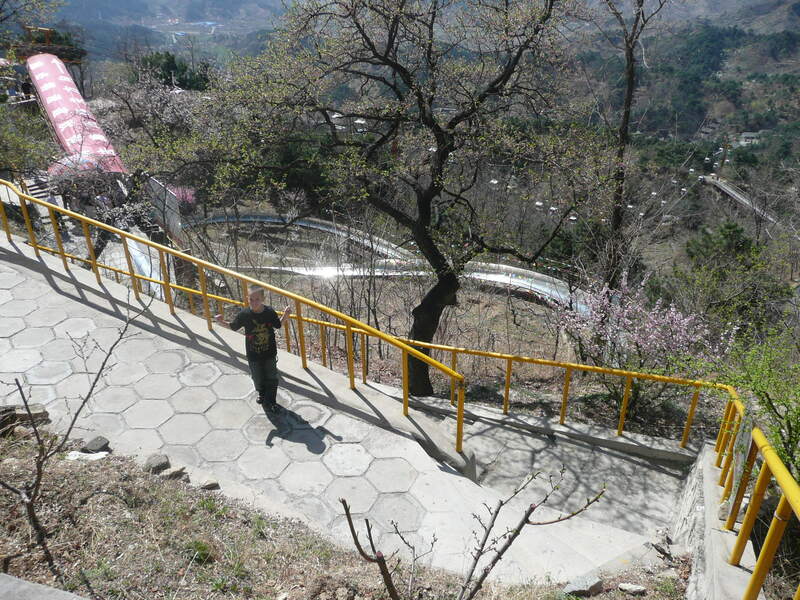 This area is enclosed by the mountains in a pristine, quiet valley full of dark earth and tranquil water required for the perfect balance of ‘qi’ or ‘life force’. The Great Red Gate welcomes you to the site. This archway was built in 1540 and it leads you to the (7kms) 4.3 mile long Spirit Way, a long tranquil footpath leading to an Emperor’s tomb. 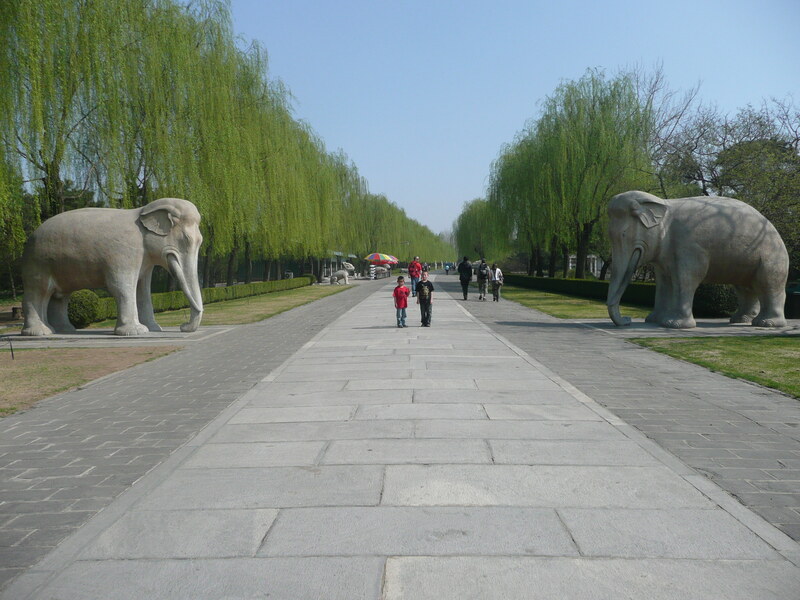 The spirit way is lined on both sides by statues that depict real and mythical animals, as well as civilian and military officials. 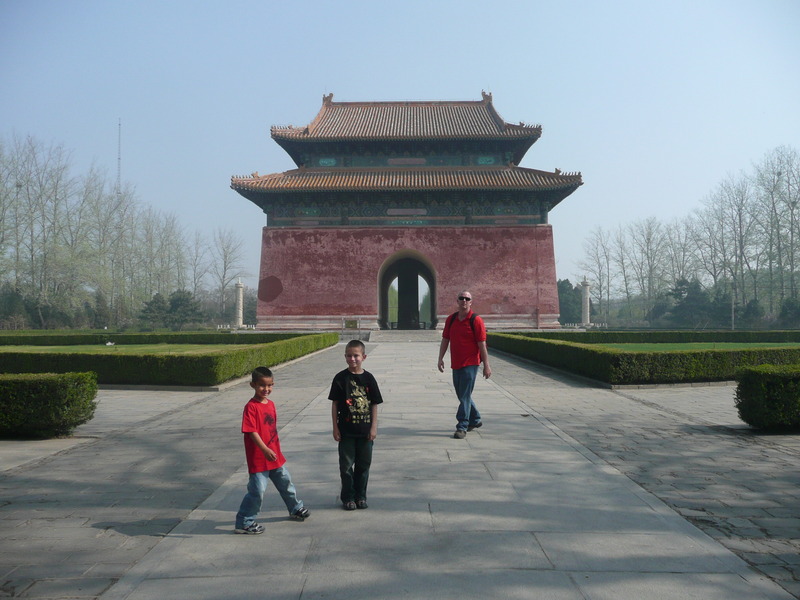 Changling Tomb is the largest and the best preserved of these tombs. The mausoleum was built in 1409. Buried here are Zhu Di, the third emperor of the Ming Dynasty, and his empress. After taking in the splendour of the Emperor’s treasures, our driver picked us up and we were finally on our way to the Great Wall. From the road you see how suddenly the mountains get bigger, higher, and you look up and there it is! In all it’s glory, it sits on top of the ridge and zig zags as far as you eyes can see. 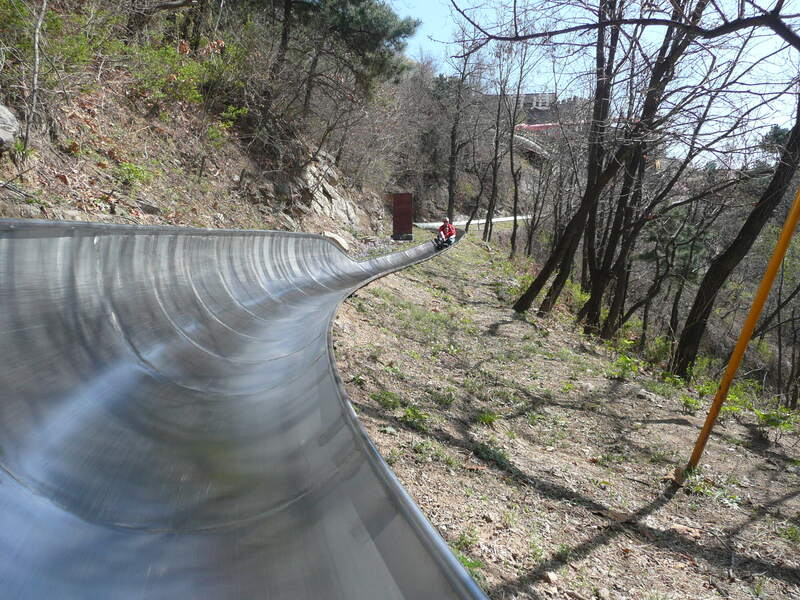 There are three ways to go up to the wall: hike the 4000+ steps, a chairlift or a gondola lift. 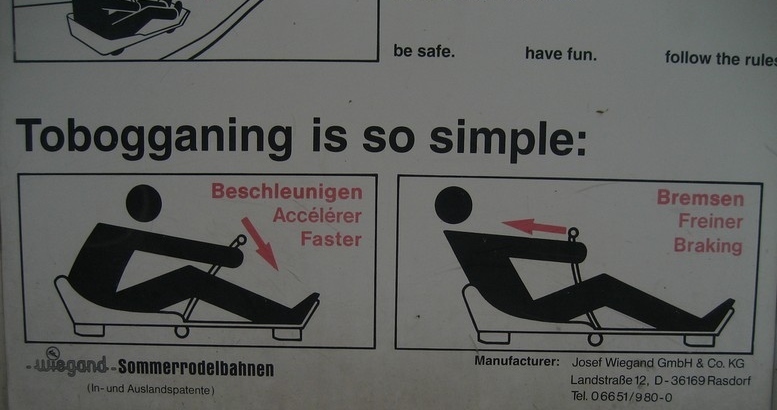 These ways may also be used to descend. But there is an alternative method to go down and this was my ‘surprise’ for the boys. 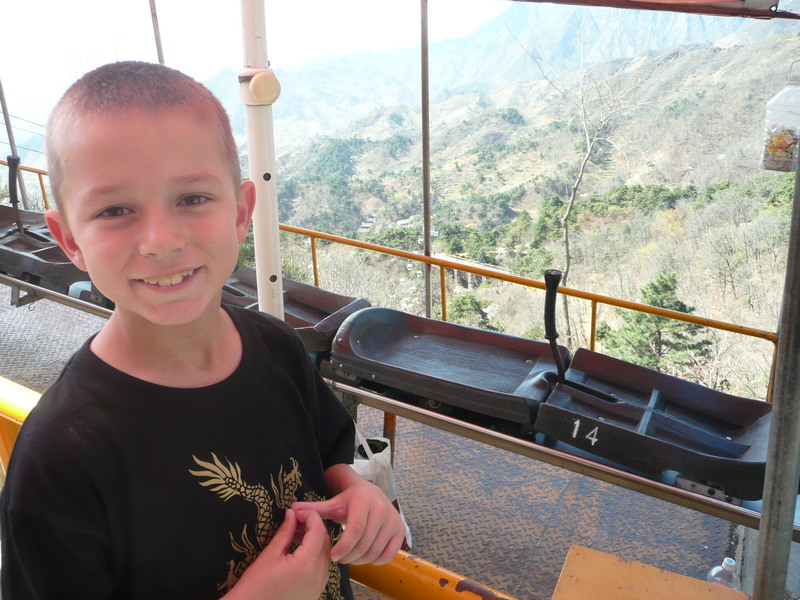 We decided to go on the gondola. 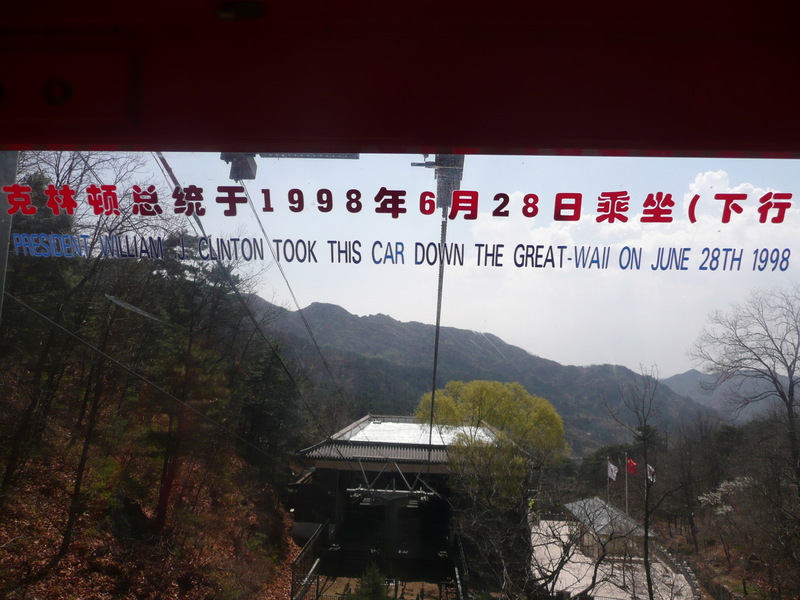 When we boarded ours, we realized we were in the same gondola that President Bill Clinton used during his tour of the Wall in 1998. The boys got really excited about this! 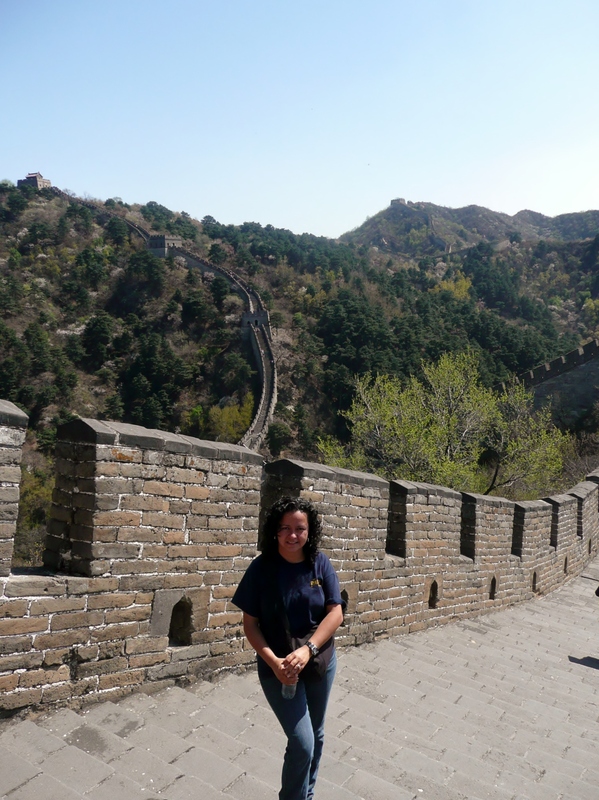 Once you make it to the Wall, the views are simply spectacular! You can go either way and as far as you like. We decided to walk towards the ‘surprise’ I had promised the boys. 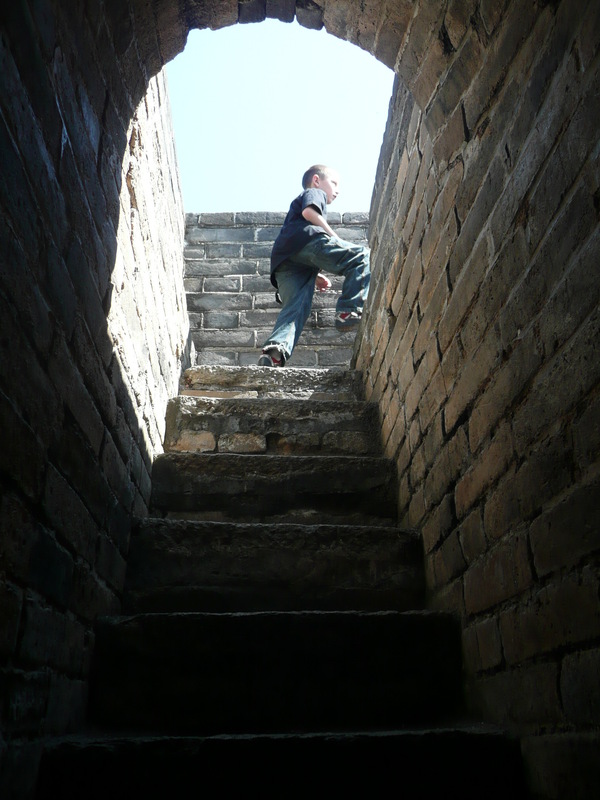 We walked east for three miles and this took us over an hour because we stopped many times, we took pictures and the boys played hide and seek in some of the watchtowers. As the wall sits right on the mountain ridge, the rampart takes you up and down and up and down. It is not strenuous but it is no easy stroll either. We thoroughly enjoyed walking on this historic, iconic and magnificent man made structure. I could see the invaders and the soldiers defending the wall. The watchtowers and beacon towers built about 200 yards apart from each other were used primarily for signaling (usually with smoke). They had a sophisticated communications system to relay messages and updates about enemy movements all the way to leaders in Beijing. Each tower had a storage of firewood, hay, and sulfur for making fires. Dried wolf dung was also used when available. Other methods of signaling were also devised using flags and red lanterns hoisted on long poles. The weapons changed over time from crossbows (invented in China as early as the 4th century BC), spears, swords and stacks of stones available to soldiers to throw down to advancing enemies, to later, guns and cannons. My inner history geek rejoiced. 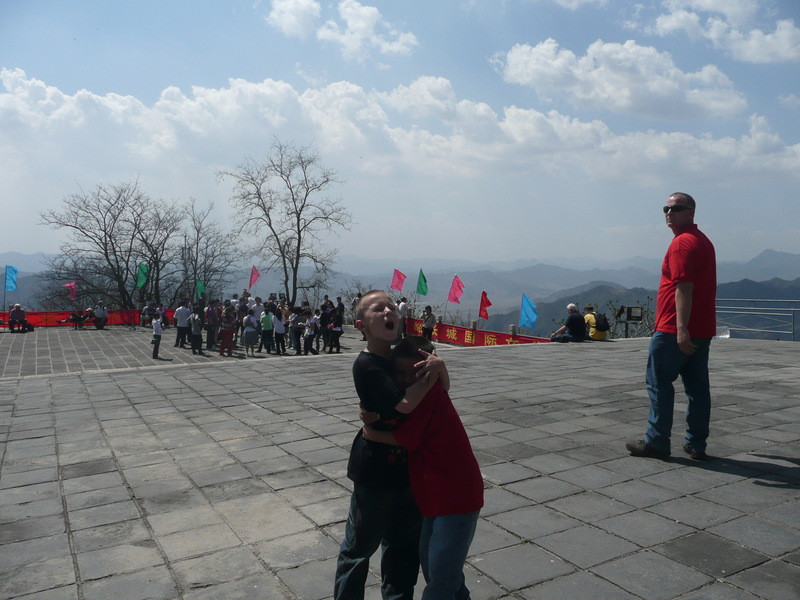 As our Great Wall hike was coming to an end, we finally made it to the ‘surprise’ I had promised. 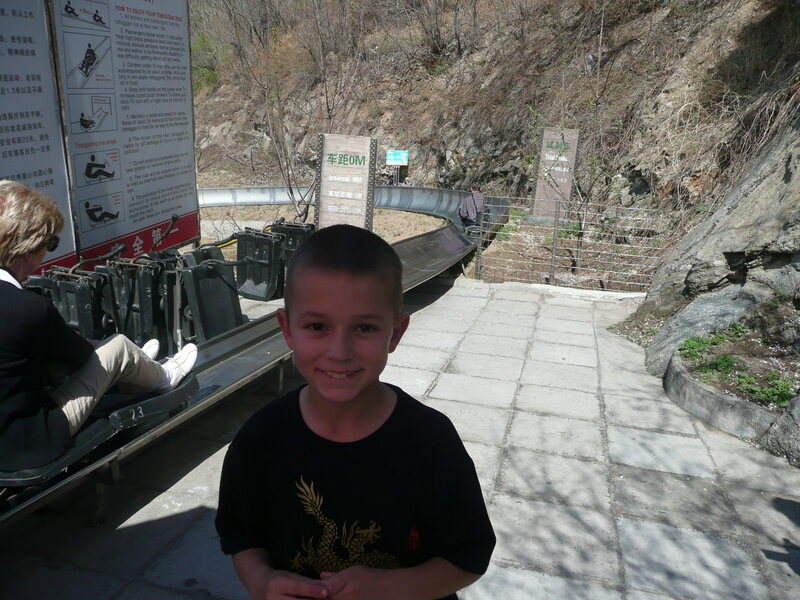 The wall at Mutianyu has a single rider personal wheeled toboggan that snakes all the way down to the parking lot and it is your way down unless of course, you want to walk back to the gondola station. When the boys saw it, they were thrilled! 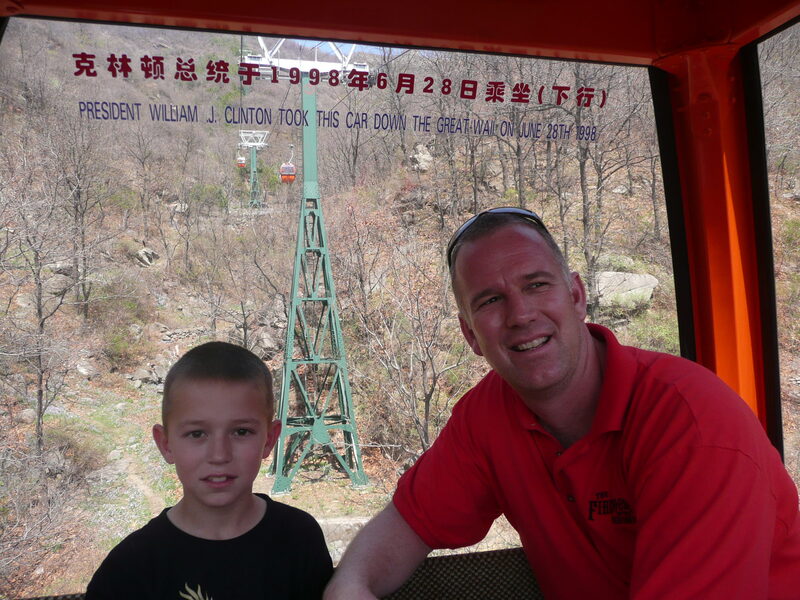 Children must ride with their parents so Wayne took one boy and I took the other. It was so much fun! I will never forget that day. One of my biggest dreams came true. The construction of this wall is one of mankind’s greatest feats but to me, more than an engineering achievement, it is a symbol of perseverance, dedication, discipline and power. Qualities that describe China and it’s people as well. 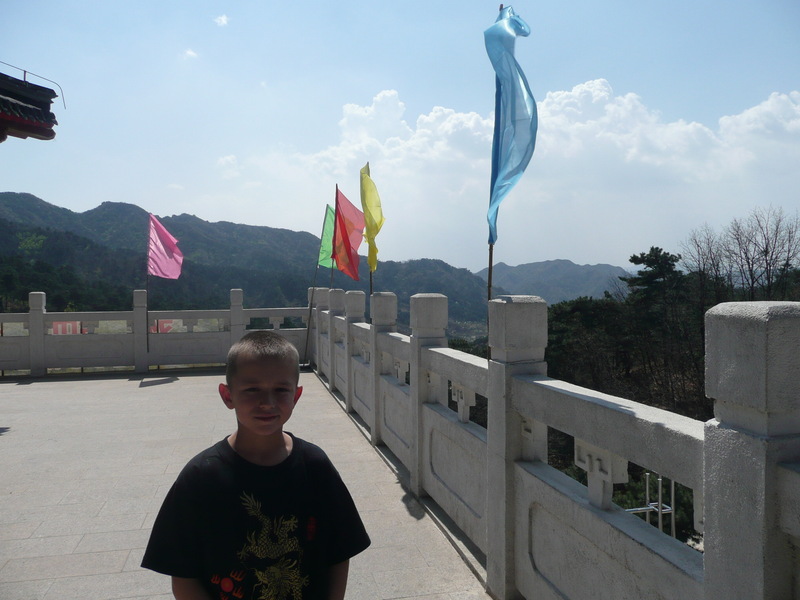 I guess we are heroes in Chairman Mao’s eyes now, for we have reached the Great Wall of China! 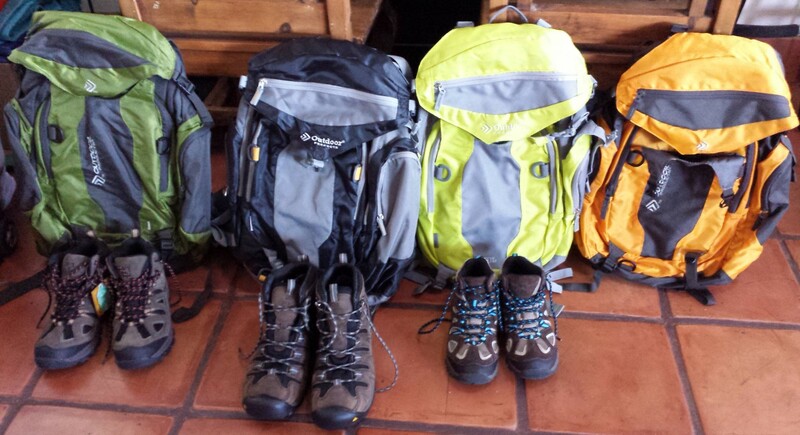 Previous Previous post: The most frequently asked question for and from people that travel on a budget. The elusive low airfare. Next Next post: The lifestyles of the not so rich nor famous in the playground of the really rich and famous. Monaco with kids?